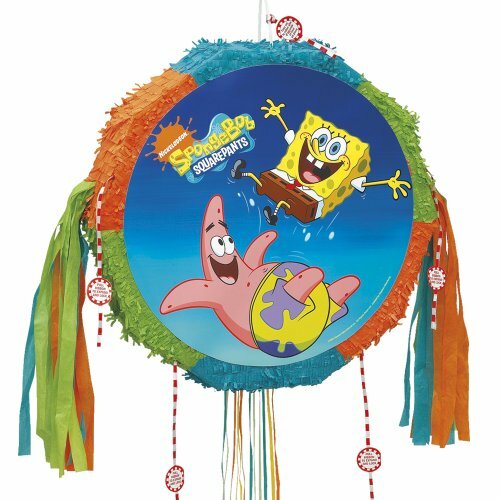 Spongebob squarepants pull pinata with 12 pull-strings. Decorative 20 to 30 ribbons are pulled by each child to release the treasures within. Measures 19in.x19in.x5in. Add up to 3 lbs of candy. This is an OVERSIZED item. OVERSIZED items that ship by Overnight or 2nd Day Air will be charged extra.